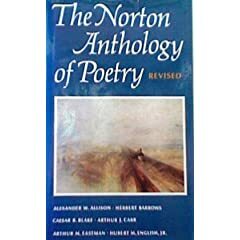 On the How To Read A Book DVD, Charles Van Doren chose as one of his Desert Island Books “the best and the biggest” anthology of lyric poetry he could find. 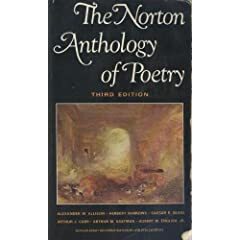 He was probably referring to the Norton Anthology of Poetry. 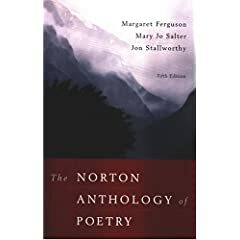 If you look at the reviews for this book, you’ll see that some readers indicate a preference for the 3rd edition over the current 5th edition, which has 800 more pages. Here is a handy comparison of the editions available. posted by Jonathan at 1/23/2010 04:17:00 p.m.
By Anonymous, at 12/27/2013 12:16 p.m.